As 2009 came to close, IT Alliance was taking Fountain and Pandemic Legion was becoming a nomadic alliance. Goonswarm was basking in the vast wealth of R64 rich Delve, and the Northern Coalition (NC) was ignoring the fact that IT Alliance (BoB reborn) was one region away from them. 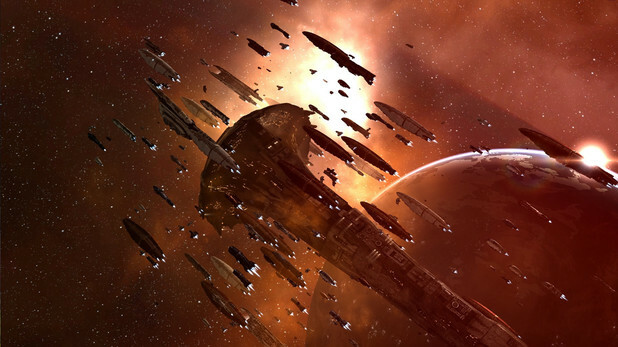 In the south, Atlas, Against All Authorities (AAA), and Red OverLord (ROL) were rapidly expanding into the space left behind by Goonswarm at the expense of Red Alliance (RA). Meanwhile, Ethereal Dawn (ED) and Intrepid Crossing (IRC) had been soundly beaten and were hiding in the buffer zone between Drone Regions and NC space. With the sunset of Dominion sov almost upon us, it seems fitting to look back at introduction of that mechanic. In late 2009, Atlas, AAA, ROL as well as a number of smaller alliances had formed the Southern Coalition (SoCo) and set standings among each other. Shortly after IT Alliance began advancing against Pandemic Legion in Fountain, IT leaders contacted Stain and Southern Coalition (SoCo) leaders and requested their assistance. Goonswarm fleets were effectively harrying IT’s advance into Fountain for the first few weeks and IT needed another front to be opened to pull Goonswarm resources away from Fountain. Many in SoCo disliked alliances in the NC, and by extension, PL and Goonswarm, for multiple reasons; not least of all was the long time control of southern R64 moons by NC entities in the wake of Goonswarm’s abandonment of the south. This effectively limited alliance level income in the south while using the income to further enrich the north. Additionally, quite a few had connections to the formed Greater BoB Coalition, so it didn’t take much encouragement to convince SoCo to put pressure on Goonswarm. SoCo fleets deployed to Paragon Soul, and Stain forces moved to RPS-0K to open that front. The culmination was the battle of TPAR-G on November 23 where Stain and SoCo forces were able to down a Goonswarm Erebus, piloted by Drazett. Battle Report Not having the numbers, supers, or even capitals for that kind of war, SoCo did not want to get sucked into a protracted engagement with Goonswarm; they pulled their forces out shortly after this battle, leaving Stain and IT to prosecute their wars alone. The long-time Castor sovereignty mechanics of POS-based control of null systems was slated to be replaced by the new Dominion mechanics on December 1, 2009. Just before the expansion release date, CCP seeded TCUs and ihubs. Alliances began buying them up and running massive freighter caravans from empire to null to have them in place for Dominion. Once SoCo had their TCUs in place, logistics and leadership spent the days prior to the expansion moving alliance-owned capitals, primarily dreads, to Eurgrana (an NPC staging system) within strike range of Geminate, owned by Wildly Inappropriate (WIdot). The Saturday after Thanksgiving, shortly before the roll out of Dominion sov, the SoCo had a conspicuous CTA on the calendar. As the fleets began forming up, it was announced that the CTA was actually a move-op and members began moving north. Calls and emails zipped around bringing everyone online. As the move-op continued, dreads began being handed out to those who could fly them, with potential staging POSes and super capital production POSes being the targets. As the ingame time ticked over to November 29th, in the AD-5B8 system (a jump from Eurgrana), WIdot confronted the heavily USTZ invasion fleet in an un-reinforced system. The node became unstable quickly allowing the SoCo capitals already on the node had a significant advantage, picking off the incoming capitals before many could load the grid. It was a massacre. The system was effectively taken a few days later, and was used as the bridgehead from which SoCo would invade the whole of Geminate. The Northern Coalition was faced with an expanding IT Alliance in the West and SoCo attacking in the East. NC leaders argued over how to proceed and ended up generally indecisive. Some attempted to come to the aid of WIdot within days of the beginning of the war though. Meanwhile, others were still busy getting TCUs and ihubs out to their systems. These late freighter convoys were a perfect target for attacking forces. First, Razor lost their convoy to a Triumvirate fleet. Then SoCo attacked a Solar freighter convoy that seemed oblivious to the conflict that had just opened up next door, and lost 16 freighters for the mistake. This effectively kept Solar out of SoCo’s hair for the few weeks they needed to play in Geminate. Neither side had a solid grasp of how to fight a sov war post-Dominion, so the bulk of the fighting still focused on taking out important or valuable POSes, as well as damaging station services. The instability of the server for the first two weeks after the Dominion expansion prevented fights from escalating. Both sides would repeatedly push numbers up in systems until the nodes would die. Frustration was high on both sides, because everyone wanted to fight, but it simply wouldn’t happen. Eventually, SoCo stopped trying to pull fights, and focused on using the server instability to flip systems by SBUing multiple systems, then finishing off the systems where WIdot wasn’t. Pets were given systems in Geminate, and WIdot ceded them, as SoCo had far bigger plans. 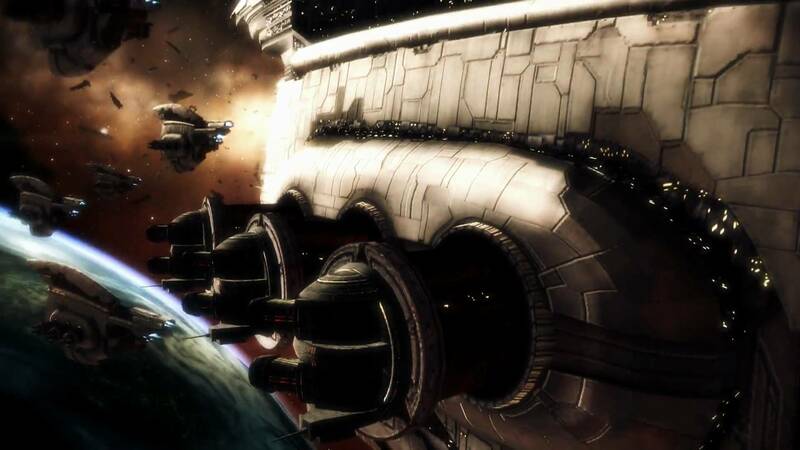 CCP saw these small alliances taking sov and viewed it as a success of their new sov system, rather than the rise of massive blocs that control huge swaths of space. 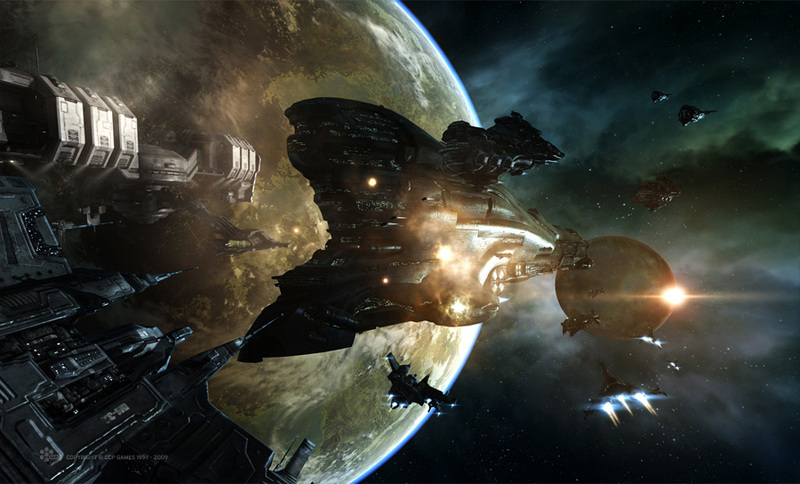 By mid-December, CCP had fixed some of the bugs in the code, allowing battles to escalate once more. December 14, with the promise that battle escalation was fixed, WIdot, with support from RAGE and Majesta Empire (ME) attempted to attack the SoCo staging system of AD-5B8. The protracted battle still saw node instability, but both sides were able to play through it anyway. Escalation ended with battleships, however, as no one was willing to risk capitals on the node. AD-5B8 Battle Report The next day, SoCo SBU’d BND-16 and WIdot came out to defend it. As the numbers spiraled up, the server began to stutter. In the end, it was like shooting fish in a barrel for SoCo. During and after the fight, both sides took to the forums to complain about server performance. BND-16 Battle Report Razor joined their allies the next day for more of the same. Because of numbers on the grid, SoCo was able to kill dozens before the NC forces even loaded the grid. 39-DGG Battle Report As the month came to a close, SoCo wasn’t looking for fights anymore, and they began taking systems, as they were hoping to finish Geminate off quickly. The game continued to have patches released every few days, slowly improving server performance. WIdot attempted to defend two more system timers before effectively throwing their hands in the air and quitting, beaten not by the invaders but by the servers. Y8R-XZ Battle Report The last organized resistance was at 39-DGG. 39-DGG Battle Report By this point, the servers were beginning to function properly, after a month of patches, but WIdot morale was devastated. A month of black screens and losing ships, not because of mistakes or inferior tactics, but because of server performance had taken its toll. WIdot crashed on the Goon couch for a while, before it eventually folded into Goonswarm a year later, but that’s getting ahead of the story. SoCo members were also burned out from weeks of fighting out of POSes, in heavy lag situations. The bulk of SoCo returned south for some R&R (to raid their favorite punching bags, Provi alliances) and to build up additional forces. By the end of January 2010, Alliance leaders were in talks with IT Alliance for a major, three pronged attack on NC space proper. Meanwhile, PL was recuperating and rebuilding morale. Lastly, and most important in the long term, the Russian Federation was forming in the Drone Regions and had begun construction of super carriers at a phenomenal rate, having already realized the benefit of being able to grind structures without using ammo. 2010 would turn into a year filled with turmoil and a lot of spaceship explosions. Bagehi is a lazy vet, which is similar to a bitter vet, but without the vitriol.